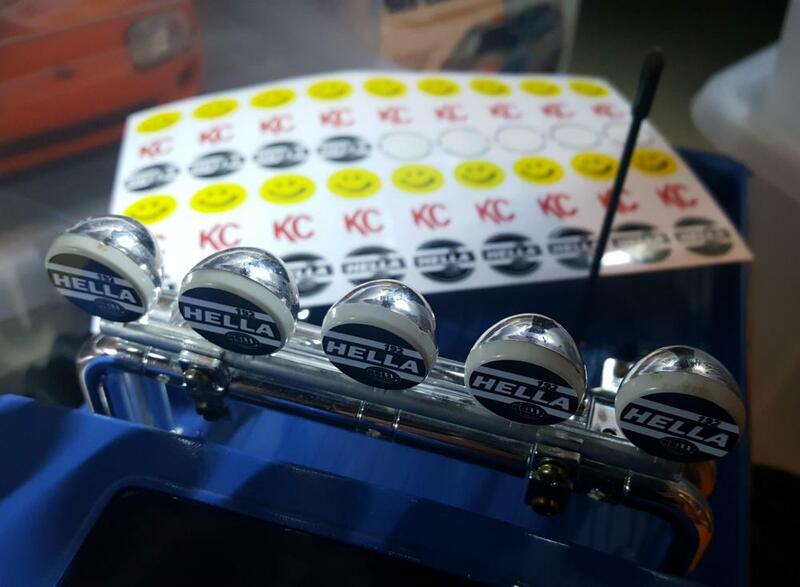 Hella stickers - where to buy? I’ve seen a few photos in the past of Clodbusters with Hella stickers fitted as opposed to the KC Daylighters, can anyone recommend somewhere to buy these in the correct size please? Have you tried MCI racing in Canada. They have a very large range. You may have to trawl through a lot to check? These will do the job. Fitted them myself a little while ago. The sheet at the back is spare if you want it. @Hairyjon313 that would be brilliant, thank you. Pm me your address and I will drop them in the post as soon as I can. I have some, they are really good! I've used them on my re-re blackfoot and a few other vehicles. You can buy those dirt cheap Chinese Hella ones and use these stickers to make them KC ones instead too. This can be quite helpful actually when the Chinese ones turn out to say "Helb"
i saw the chinese one the other day i i had to look twice as i thought i was seeing things . Jon has posted the ones above to me but i only need a few - if there’s any left over i’ll send them on to you.